A little while ago I was approached by the lovely team at Eimi Boutique who are a UK based online boutique for women. They are quite a new boutique as they only launched this year. They were very kind to reach out to me as they wanted to send me an item of clothing from their range as they loved my Instagram profile. 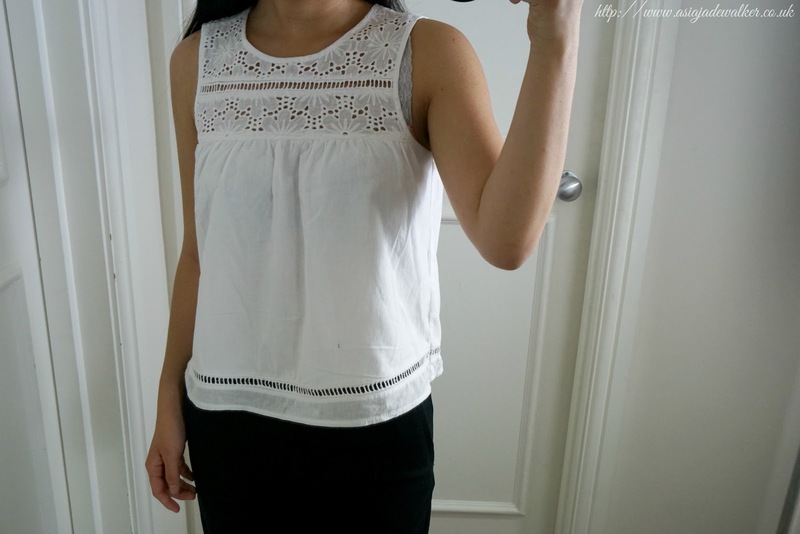 I was able to pick from any of their products so I chose this really cute white top. 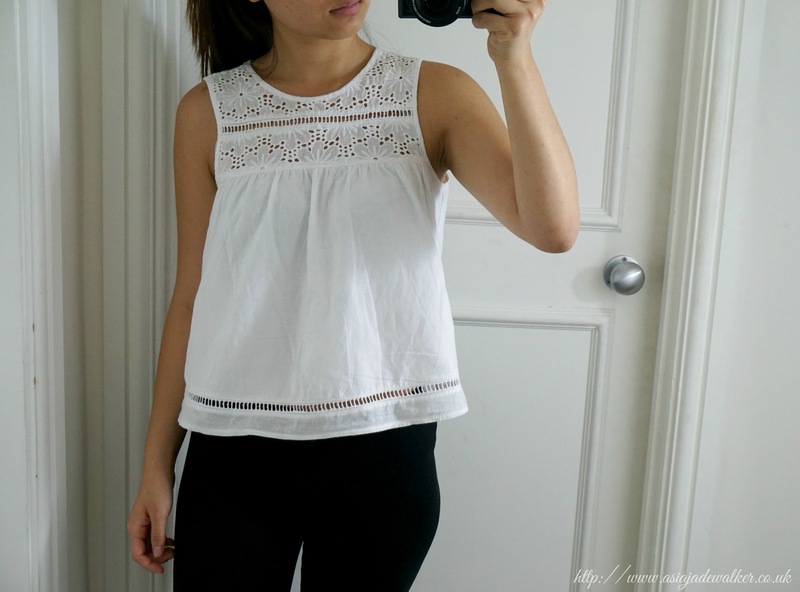 The Bailey Top is currently on sale for £12.50 at the time that this blog post goes live. I decided to choose this one as it can be styled all year round and the small details on the top are my favourite. You can also get 20% off your order by using my code ASIA20. 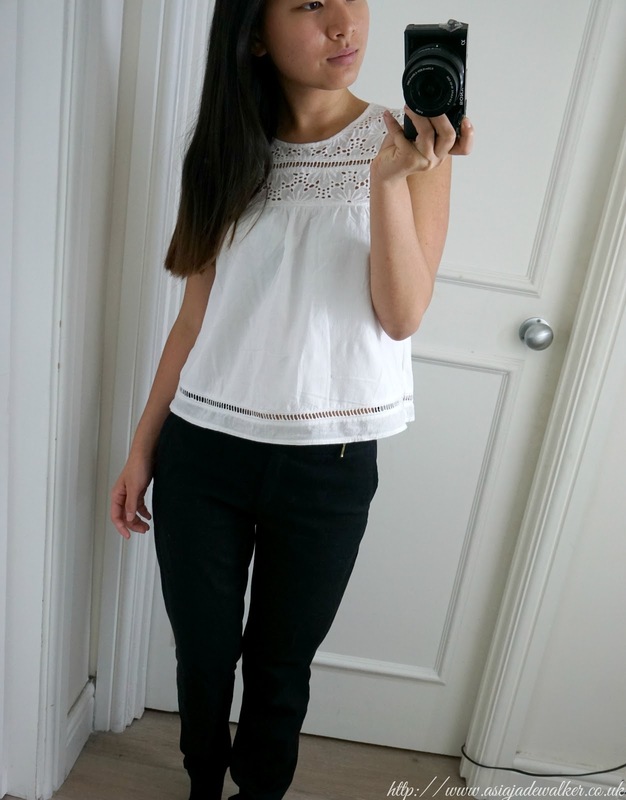 The first outfit that I have chosen is a work outfit as I work full-time Monday to Friday. I have paired the top with some fitted trousers from H&M. I can wear whatever I want to work as long as it’s smart and not provocative. I always tend to wear something that is quite simple but also looks like I made an effort. Black and white are always a go to outfit for me as I just love the combination. I would probably put a cardigan on over the top as during the colder months just wearing this top won’t be enough. If you work in a place where you have to wear professional clothing then a black blazer over the top would work just as well. The second outfit I have put together is one that I would wear for a day out with friends. Unless I’m going out during the evening I tend to keep my day outfits very casual. I have teamed the top up with a pair of Primark jeans which are the only place where I can find jeans that fit me well. I then chose a light bomber jacket from H&M that would be easy take on and off if the weather decided to change. I love this outfit because the jeans and bomber combination gives a masculine feel but the top adds that feminine touch. 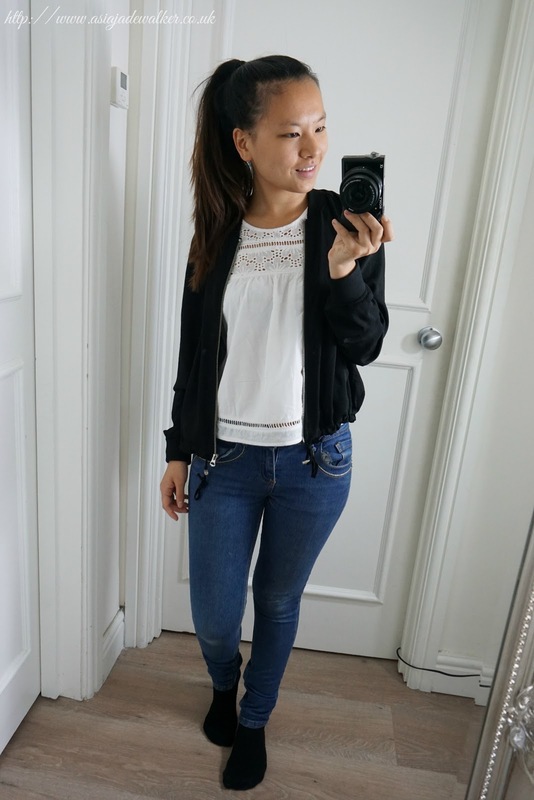 It’s definitely one of my go-to outfits as you can wear it to almost anything. The last outfit I have chosen is a comfy outfit. Leggings are always my go-to bottoms during the colder months. But I only tend to wear them at home as I don’t feel that comfortable wearing them out unless I’m wearing a long top or thick leggings. The top I would probably only wear if we had family or friends over otherwise I would be in a hoodie and leggings. Again the top just adds that feminity to this outfit which makes it acceptable to wear around the house if you are having a family lunch or you have a BBQ with family and friends. As the evening gets colder I would throw on a hoodie or a jacket to keep my arms warm. Thank you so much to the team at Eimi Boutique for sending me this top I love it a lot and I know that I will wear it for many years. If you are looking for a few Autumn/Winter staples then definitely check out their website as they are always launching new items. You can also get 20% off your order by using my code ASIA20. "Video | My Make-Up Collection 2017"
"My Tips For Using Online Dating Apps"